If you're wondering what ResToKat means, it essentially stands for Restoran (Restaurant), Toko (Store), and Katering (Catering). 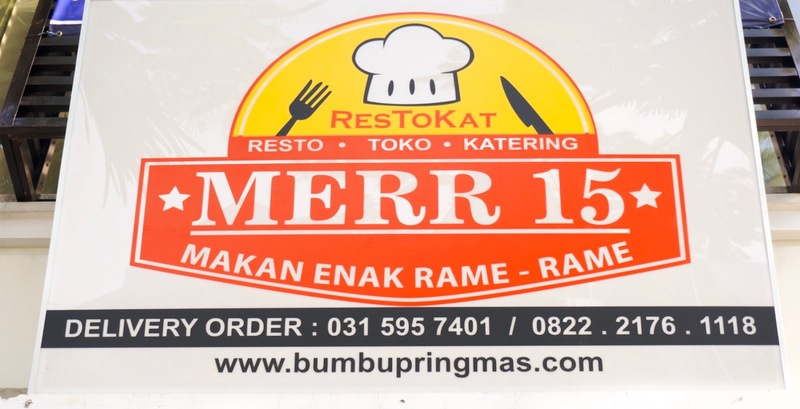 So basically MERR 15 is a one stop shopping for you who wants to either dining in, buying Pring Mas Instant Seasoning products, as well as ordering food catering from them. Let me put it like this : If you haven't tried any of Pring Mas Instant Seasoning products, you can try dining in there first, if you loved it, you can either buy the Instant Seasonings so that you can cook your own desirable meal at home, or if you don't feel like cooking at home, just order their catering. Ha! Problem all solved, right? MERR 15 took place in the very east of Surabaya, precisely in Pakuwon City. 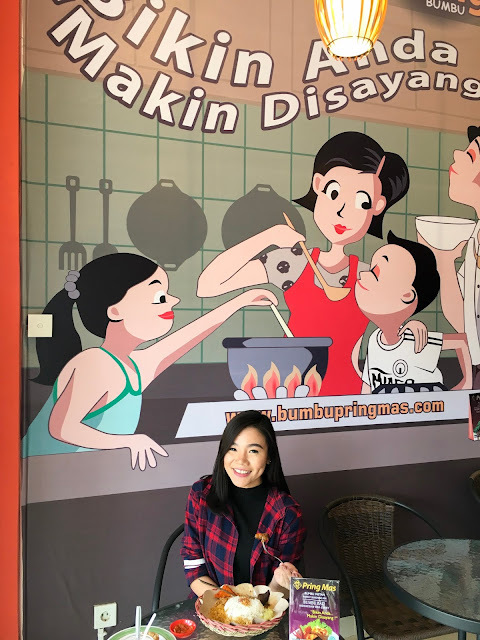 I know it's been awhile since the last time I wrote a review about eatery place in east Surabaya, huh? Now you got one, lol. So promptly, MERR 15 is located in San Antonio Shopping Street, which is one of the business area of Pakuwon City, where stores, cafes and restaurants are lining up on both side of the street. For the size, MERR 15 can fit to 20 people inside, pretty much an okay size for this type of restaurant. In terms of design, MERR 15 is pretty humble according to what I observed on my first visit. Still, to me the overall place is quite decent and comfortable to stay in. Nothing fancy, but everything arranged fairly neat and they keep the place thoroughly clean. Don't worry, they have air conditioner, plenty of electrical outlet (in case you need them), wi-fi connection, and also a big television to keep you entertained. This Soto Daging was my favorite dish of the day. I really love how tender the meat was, and the overall taste of the broth was pretty on point, it was savoury and nicely seasoned too. I sprinkled a generous amount of fried red onions on top to add more crunchiness, squashed a slice of lime for a hint of sour taste to the dish, and everything was all great! This Nasi Campur was the second menu that I tried and I opted for the Balinese Spices towards the meat choice. The appearance of this dish was pretty common, which is simply a cup of rice with the main choice of meat, completed with multiple side dishes. 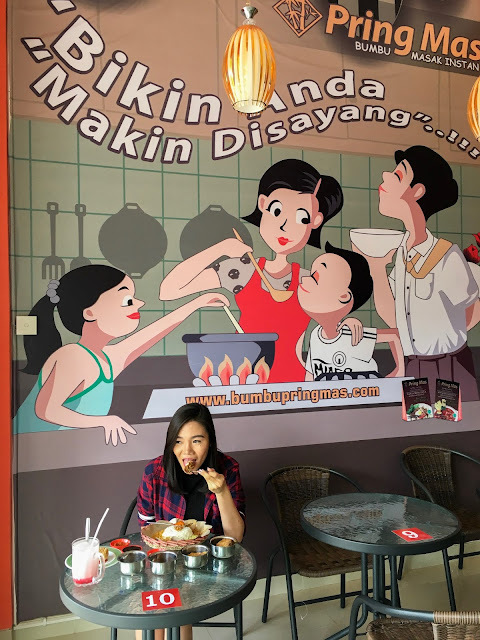 Again, I really love the tenderness of the meat as well in this Nasi Campur Bali Daging, however, the taste of the seasonings was not savoury enough to my palate, it needs a little bit of a kick in the spices to make it stands out in my opinion. Another dish that I tried was this Tahu Campur. Personally, I'm not a big fan of Tahu Campur in general, but I still tried to eat it when served to my table (greedy mouth, lol). My standpoint on this Tahu Campur is that the soup tasted savory, but not salty, and there's still a hint of sweet taste to it. 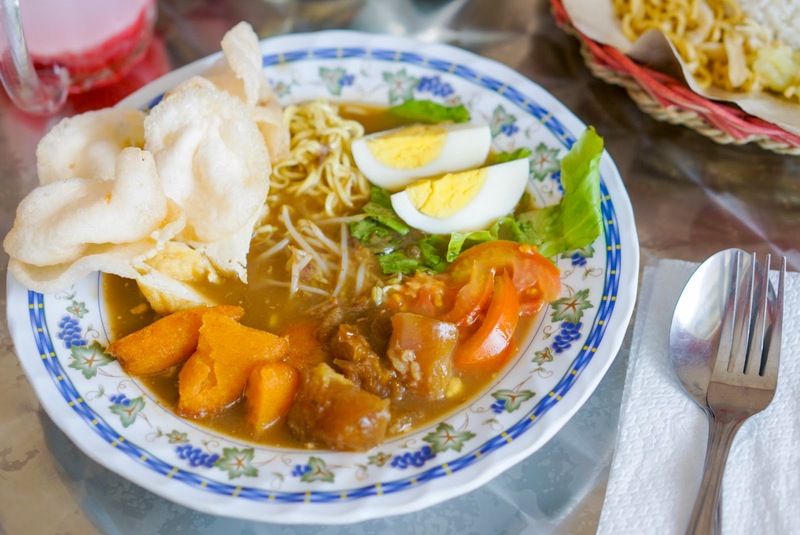 When you eat it altogether with the fried tofu, gooey beef, lento, the cassava balls, beansprouts, noodle, boiled egg, tomato, and also the crackers, the taste is kind of mixed from savory, sweet, crunchy, and soupy. If you're a fan of Tahu Campur, you might love this, but it is still not for me. Last but not least, I also tried Tahu Petis for the snack. I don't think I need to review this Tahu Petis, lol. Since most of fried tofu tastes the same to me, but I guess what needs to be given more credit here is The Petis. Because the petis was honestly the hero that made the plain fried tofu tasted much much better! Well at least to me it was. I could dip the tofu all the way down, and eat the whole thing inside my mouth, Yum!! Oh, if I haven't told you, their Sambal was also da bomb! I recommend you to try it as well! The place is easy to find, parking is not a problem at all, dining space is cozy and clean. The foods taste good, especially when I know that they don't use any MSG in it. The tenderness of every meat that I tried sums up about the good cooking process they have in the kitchen, but the taste needs a little more spices and the portion of the meat needs to be added up a little more. That pretty much it for today's blog post, I hope you enjoyed reading the post and learn something new. You can share this blog post to your friends and family, especially if they are into non msg foods, you can share the link right here : bit.ly/MERR15Sby who knows it might help them, sharing is caring :) Show this blog some love and support by giving it a like on the G+1 button at the top right of this blog and at the bottom of this post, it's totally free :) If you want to donate to this blog financially, you can do it too, click here. :) I'll see you on my next post xoxo.